Answer a series of questions to evaluate your investment risk tolerance. Know about your diversified global portfolio of ETFs with a long term focus on optimised risk-adjusted returns. View your Statement of Advice, and sign the MDA contract to allow us to serve you. 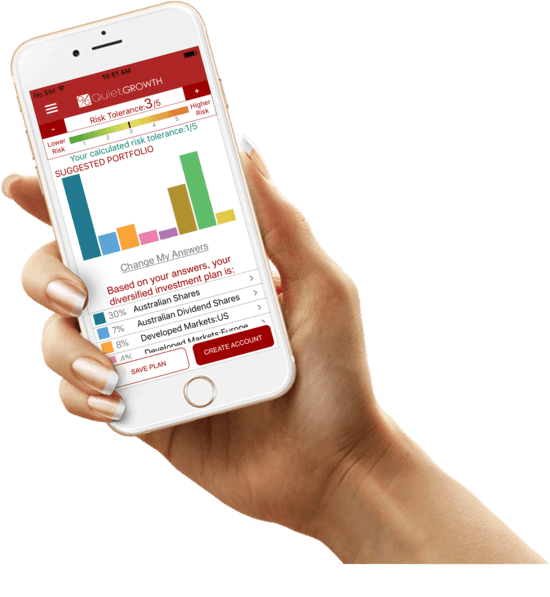 We will create a brokerage account for you. Invest in your QuietGrowth portfolios, and we will manage your wealth for a low QuietGrowth fee. 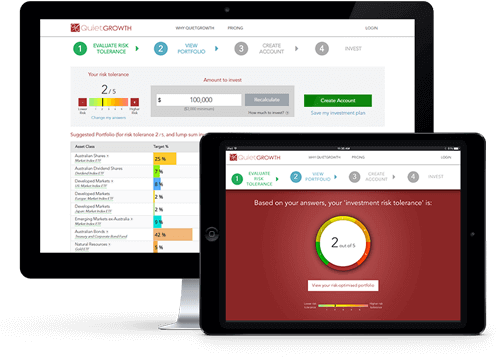 QuietGrowth manages your investments in Individual, Joint, SMSF, and Trust accounts for optimised returns. We are a low fee, automated, online investment manager. We are a financial adviser providing digital advice. For as low as 0.4% annual QuietGrowth fee, benefit from our advanced investment management service. 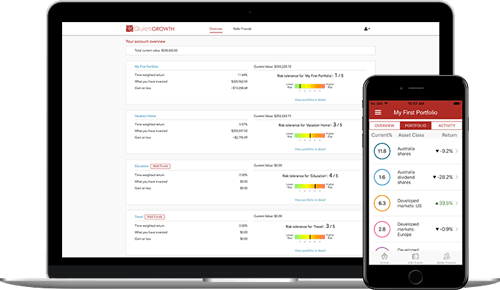 QuietGrowth manages your investments in Individual, Joint, SMSF, and Trust accounts for optimised returns. We are a low fee, automated, online investment manager. For as low as 0.4% annual QuietGrowth fee, benefit from our advanced investment management service. Built on Nobel Prizes in financial economics. "Stock price movements are impossible to predict in the short-term"
To do more of what you can do better.